It may only have been the sympathetic behaviour of his comrades-turned-captors that saved Yakob Yatane two years ago in the southern Ethiopian bush. Hardliners from a popular movement seeking autonomy for the Konso people, who accused him of working with the government, had allowed the former opposition parliamentary candidate to speak to his family by phone. Using Amharic, Ethiopia’s most widely spoken language, Yakob was able to inform them of his location without the guards realising. “The army arrived just in time. My wife cried when she realized I was rescued. She was seven months pregnant at that time,” said the 43-year-old. 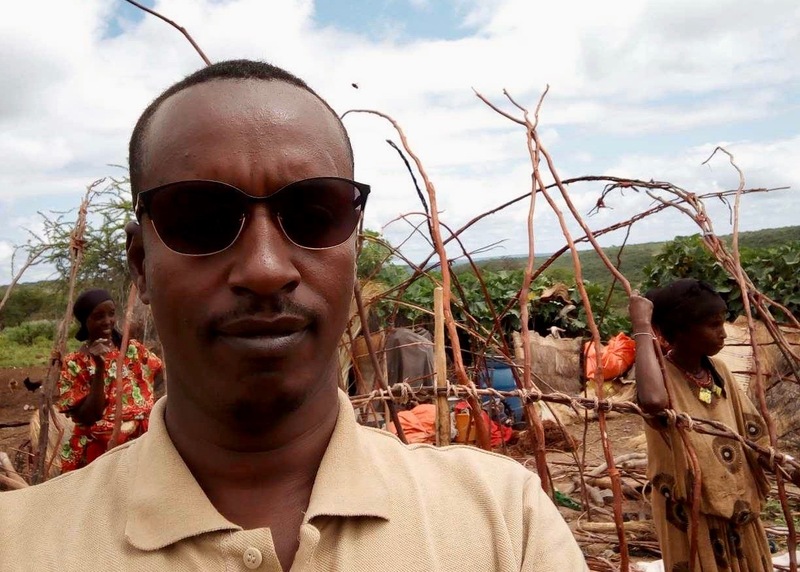 Later that day in September 2016 after being freed from his four-day ordeal, Yakob’s hotel in Fasha town was attacked in a repeat of the mob violence that led to his capture on the road from Fasha to Karat earlier that year. His property was damaged, but he suffered far less than on the previous occasion. Although Yakob had previously been asked to assist a Konso activist committee because of his language skills and expertise in conflict resolution, after the rescue he worked with the government to try and resolve the dispute. But in a sickening twist for the father-of-two, after relative peace prevailed, he was lumped in with other alleged agitators and charged with inciting anti-government violence in April 2017. “I was victimized by both camps for no reason other than advocating for justice. I couldn’t stand the human rights violations committed by the government and, when things got out of control, I couldn’t stand the abuses against those accused of not supporting the cause,” Yakob said. Most of Konso prisoners were released this month, in keeping with reforms that have accelerated in Ethiopia since Abiy Ahmed became Prime Minister in April, although charges have not yet been formally dropped. “We need healing down to the village level. I think the reconciliation path started by Dr Abiy is the only way to save the country,” Yakob said. Ethiopia is expected to amend a catchall anti-terrorism law and make other legislative reforms soon. Trouble in Konso sprang from a 2011 decision to create the multi-ethnic Segen Area People’s Zone by amalgamating Konso Special Woreda with the Burji, Amaro and Derashe’s Special Woredas. That meant less control of decision-making for the renowned Konso community, who number around 250,000. Such identity-related administrative disputes have been relatively common in Ethiopia under its 23-year-old system of ethno-linguistic federalism, particularly among the patchwork of groups that form the approximately 20-million strong Southern Nations, Nationalities, and Peoples’ Regional State. In this multinational federation—whose constitution has a secession clause for “every Nation, Nationality and People”—many public services are delivered by woreda administrations. Funding comes primarily from nine autonomous regional governments, although they receive the bulk of their budgets from central coffers. Special woredas offer autonomy for some ethnic groups, as do some zonal administrations, which sit between woredas and regions. Broad policy coherence has been ensured by the control of all legislative bodies in the country of 100 million people by the four regional parties of the Ethiopian Peoples’ Revolutionary Democratic Front (EPRDF) and allied ruling groups from the remaining states. The EPRDF adheres to democratic centralism and says it practices participatory Revolutionary Democracy to eradicate poverty in Ethiopia by mobilising the masses for development. The outcome is a de facto one-party state. Konso’s incorporation into Segen combined with discontent over the rising cost of living, drought, and lack of job opportunities resulted in protests in 2014, according to Yakob, who has now not seen his young family for a year. He had returned to Konso that year to work as a community officer for an international NGO. Since graduating from Dilla University with an English degree in 2001, he gained broad experience across the country. He worked as a teacher, university lecturer, news producer for the state broadcaster, and as an education coordinator and peace expert in the South Omo region. His success stemmed partly from a strict father who encouraged him to focus exclusively on church and education in his teenage years. As the discontent spread, the 23-member activist committee was formed that was headed by the traditional leader of one of the Konso’s nine clans, Kalla Gezahegn. He was among hundreds released from Arba Minch prison last week. The self-rule demand led to a petition signed by more than 55,000 people being sent to the regional government in Hawassa in March 2016. The cause was supported by Ongaye Oda Orkaydo, the former Vice-President of Jinka University, who said it was a legitimate claim and the process followed the correct constitutional procedure. That reportedly included 38 of 43 Konso kebele administrations and the woreda voting to separate from Segen. However, the regional administration led by Dessie Dalke said there was no justification to make Konso a zone. Mass demonstrations ensured and at least 200 people were arrested within three months and two killed by security forces as the regional government attempted to intimidate the protest movement. While some including Kalla called for reconciliation, hardliners within the committee pushed for confrontation. That included shutting government offices, boycotting public services, and refusing to negotiate with authorities. The dispute over tactics within the protest movement led to more violence in August 2016, which some committee members blamed on federal security forces. Yakob disagrees. “Some of the villagers of Abaroba and Aylota villages wanted negotiations and a pragmatic way out the crisis. They were labelled as cowards and traitors by hardliners,” Yakob said. Such provocation allowed the authorities to cast the popular and constitutional demands as illegal. As a result, almost 1,000 houses were burned as violence flared between the factions. Traditional curses were placed on non-compliant community members, including officials, and some were kidnapped. The owner of Edget Hotel in Karat was accused of siding with the government, leading to attacks on customers. “They were becoming impossibly brutish and appeared not to care for the well-being of their people. They clearly said what they wanted was all administrators in Konso dismissed and replaced by them,” Yakob said about the hardliners. He was ostracised for publicly opposing their tactics and it was then he was captured and beaten. Ongaye has a different version of events, claiming that fighting started in Abaroba after government agitators exploited a dispute over compensation related to the installation of an electricity line. Such provocation allowed the authorities to cast the popular and constitutional demands as illegal. Protesters turned against the Edget Hotel owner after he undermined the battle for autonomy in a television interview, while Yakob aroused suspicion, according to Ongaye. “At the start he was well committed to the cause and both of us used to collaborate and exchange information. But later I started sensing that he was drifting away. I even heard that he started approaching government officials by himself, excluding the elders, and going once to Addis Ababa alone. I became suspicious of him. So were other committee members,” he said. Prior to their imprisonment, the united committee had travelled 600 kilometres to Addis Ababa to meet with federal officials, military officers, foreign diplomats and the media to push Konso’s claims and make suggestions such as the creation of multiple zones. Konso Cultural Landscape is a UNESCO World Heritage Site for its over 400-year-old stone-walled terraces and fortified settlements. The area is a popular stopover for tourists travelling to visit traditional communities such as the Mursi in the Omo Valley where Yakob worked on conflict resolution. The mediation attempts did not stop Yakob and more than 400 others being charged with crimes including conspiring against the government, instigating riots through illegal meetings, and encouraging people to block roads and boycott work and school. Protests intensified after Gezahegn and other leaders were locked-up, although Yakob escaped arrest by fleeing. Eight of the committee reportedly left the country after the heavy-handed and arbitrary Government response. “Particularly, Konso Woreda Chief Administrator Solomon Kalita was unfairly jailed in 2016 under the ludicrous charge of orchestrating the riot, whereas what he said was the people’s plight should be heard, in a similar fashion to Oromia President Lemma Megersa,” said Yakob. Abiy’s reforming premiership comes after more than three years of unrest in Oromia where protesters complained about the unfair evictions of Oromo farmers, political marginalization, and demanded the release of political prisoners. Nationwide, more than 1,000 people were killed by security forces, while local administrations, courts, police stations, factories, and farms were ransacked across Oromia. Last month, Wolayta people were targeted in Hawassa, where Sidama protesters demanded their own region, violence flared between the Gurage and Kebena groups in the Welkite area, and there was also fatal ethnic violence in Asosa, the capital of Benishangul-Gumuz region. Dessie Dalkie and Southern party leader Shiferaw Shigute have since resigned. This year there have been over half a million Gedeo people forced from their homes by fighting with Oromo in their zone of the Southern Region and members of both groups have been displaced in West Guji Zone in Oromia, according to the UN. Extreme violence since September 2017 between Somali and Oromo communities and militia left around one million people displaced. Yakob, who stood for the Unity for Democracy and Justice party in 2010 elections, has not returned yet as he waits for the charges to finally be dropped, and is hoping for a new era of tolerance under Abiy. He is currently less concerned about the nuances of ethnic federalism than the zero-sum political culture that he believes comes with the EPRDF system.